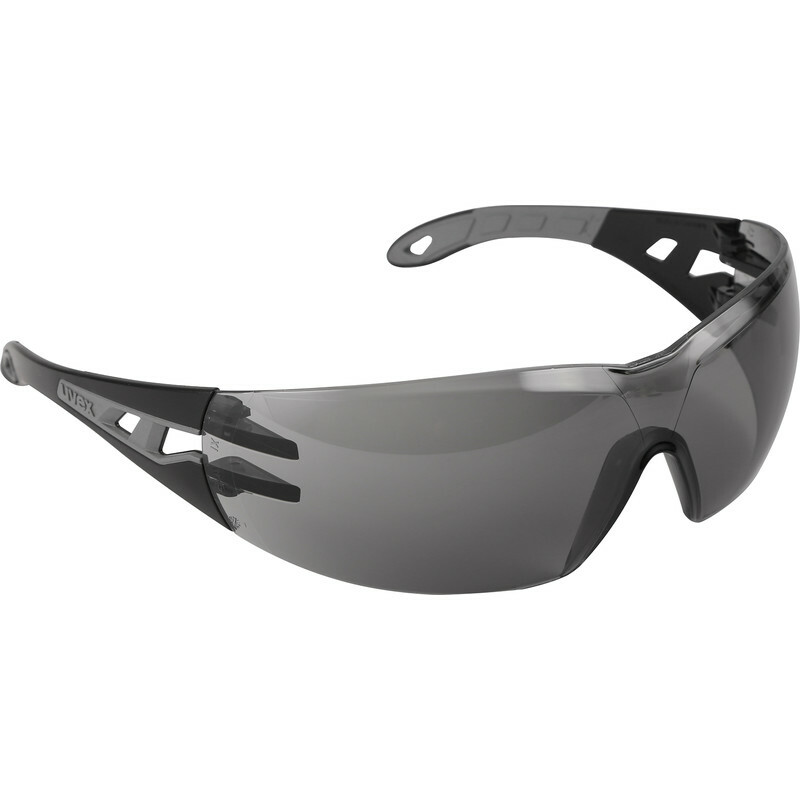 Uvex Pheos Smoke Lens Safety Glasses is rated 5.0 out of 5 by 4. Rated 5 out of 5 by BigBearGrrr from Sensible priced safety glasses I bought these glasses as they are safety rated and darkened. Two benefits at a reasonable price. Rated 5 out of 5 by Wey man from Great specs, good price. I keep a pair in the car, as they are excellent for driving. Good UV reduction, but not too dark in the normal visual band, so they're great for our British overcast days when it's not overly bright but the UV levels are high. They've proved good as sunglasses, and being safety specs means they won't shatter if you do suffer a smack in the face by something, like a branch whipping back when rambling or gardening. Rated 5 out of 5 by Uwe1 from Great accessories I use these glasses every day, for driving, when I work with the angle grinder, or sanding....And looks so cool!